In the last 24 hours Aidan’s story has apparently taken off again! None of us know how or why this has happened but it is amazing. I know it warms all of our hearts to see the support our Aidan is receiving and we can never thank you enough. 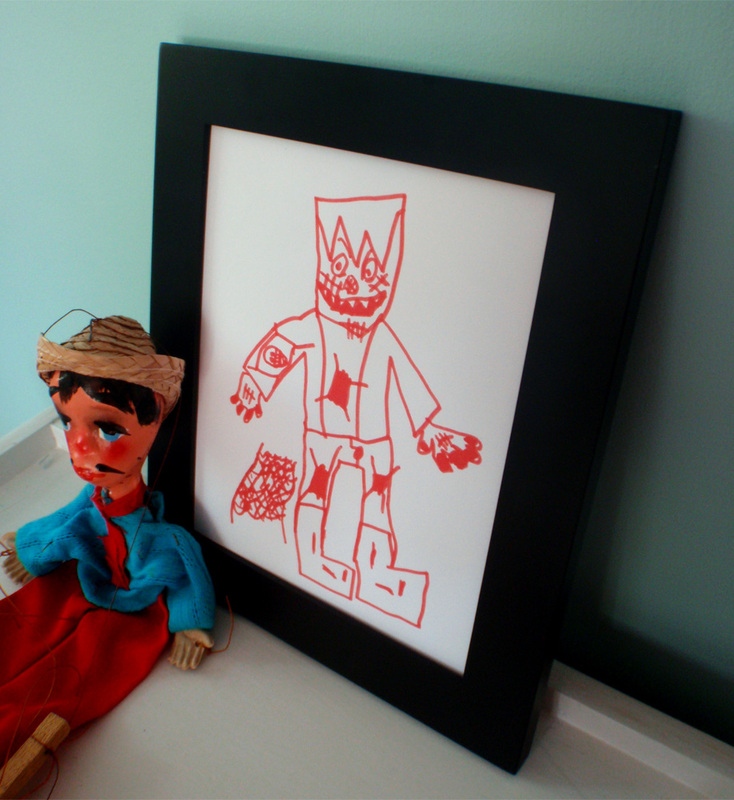 Although I have quit actively posting on this blog many people keep asking the same question, “When will Aidan’s art be available?” While we do not intend to sell any more prints Aidan’s parents will make several original drawings available in the very near future. I will be sure to update here when that takes place. 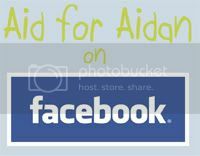 If you would like to follow regular updates on Aidan you can do so at Aid for Aidan on Facebook. Keep up with Aidan on Facebook! Hello All, Aunt Mandi here again. I am sorry I have been terrible at keeping this blog updated. Aidan seems to be doing fantastic these days. If you would like to keep up with Aidan and his condition you can follow him on facebook . 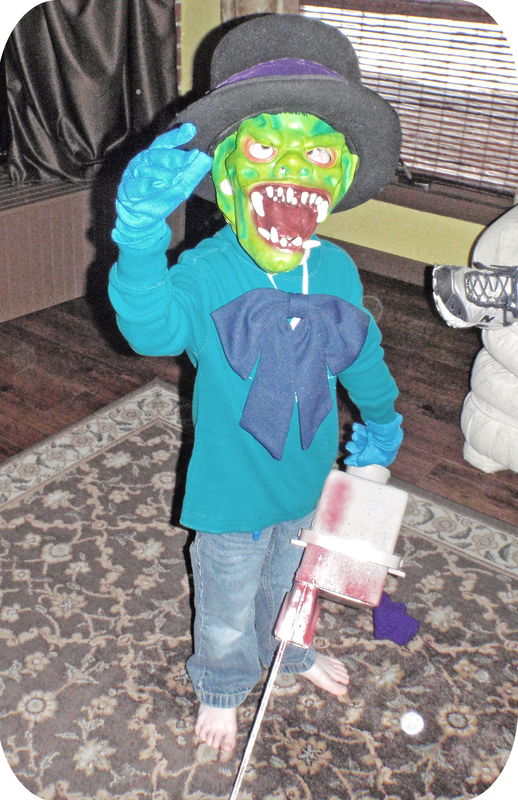 Aidan’s Monsters was opened on September 23, 2010 as a simple idea powered by Aunt Mandi’s incredible desire to help her brother’s family with their battle against Aidan’s leukemia. No one could have imagined that the store she started would become an internet sensation, but the response was enormous, and the outpouring of support quickly became worldwide. As Mandi has stated in the past her goal was 60 prints by Christmas. 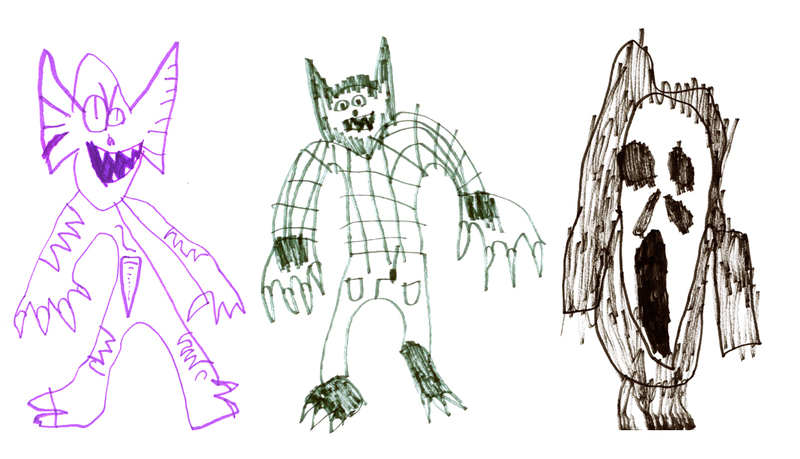 However, we received 7,684 donations through Aidan’s Monsters, and we are all incredibly grateful for your support. These past few months have been overwhelming at times, but the support from people across the world was an amazing boost to our efforts. 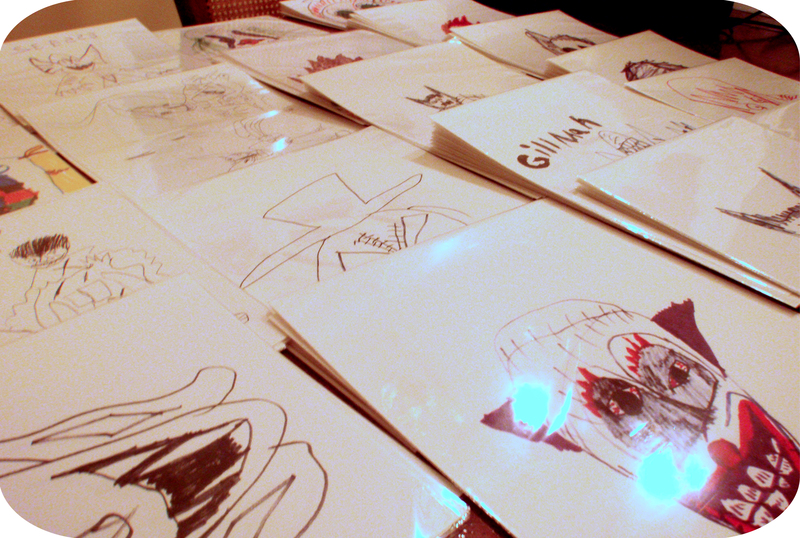 We have been working on Aidan’s Monsters everyday for months now, and I am proud to say we have shipped every order out. This was a daunting task to manage, but Mandi was determined to keep her promises to all of the people who requested a print. 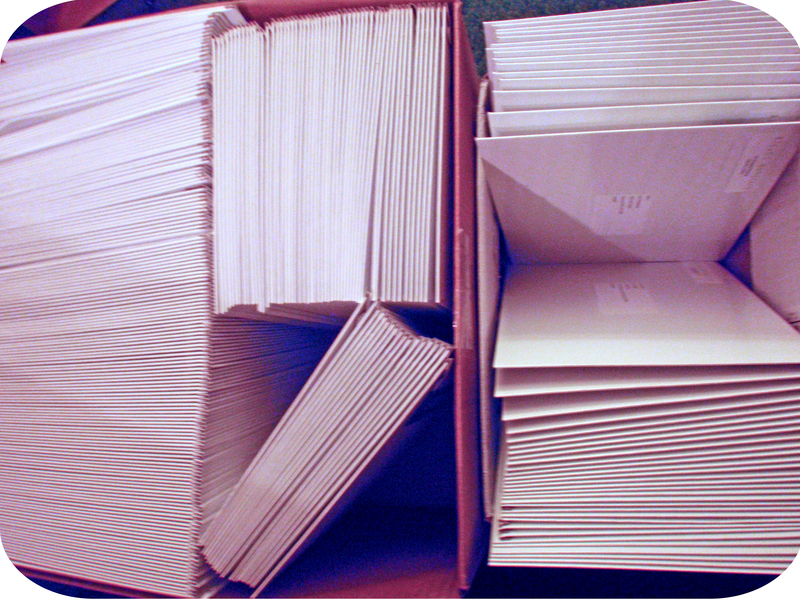 Our dining room table was converted to a packaging station, and our garage was full of envelopes, paper and mailing labels. We developed product codes to be printed on the mailing labels to help speed up the process. In spite of our efforts, we do recognize that some people did not receive their print in less than 8 weeks, and for that we are very sorry that we didn’t meet our commitment. Please understand that we made every effort to deliver without “short cutting” or “modifying” the end product. Given that our initial purpose and goal has been greatly overachieved, Mandi has elected to discontinue her management of the Aidan’s Monsters Etsy Shop, and we will be transitioning the shop to Aidan’s parents if they so desire. We both felt it important to thank everyone who helped make Mandi’s idea into what it became. I know we will never forget this experience, and I am especially grateful for the notes of support that Mandi has received. I have a new level of admiration for my wife, and she has learned that she is capable of doing amazing things. I know Aidan put a pretty good list in to Santa. I have a feeling between Santa and all of the gifts you all sent he will be having a pretty awesome Christmas! As far as Aidan’s Monsters I will be taking a few days off to spend with family. If you have any questions concerning your order please direct them to my etsy or aid_for_aidan@hotmail.com and I will get back to you as soon as I can. Thank you so much for your patience and your contributions! You have touched all of our hearts in ways unimaginable. We can never say thank you enough! Hello Everyone! I just wanted to touch base with everyone that has purchased a print or plans on purchasing. EVERY item will require at least 6 to 8 weeks for shipping. In the begining (October 17th) I was only prepared to sell 60 prints. This was a huge set back when we hit 2,500 prints in 2 weeks! If you are waiting for a print PLEASE be patient. If you are just purchasing a print now, please do not expect to have it by Christmas. I am just finishing up October’s purchases and starting on November this weekend. I am hoping the process gets a little faster now that I have good (and quick!) suppliers behind me. We are all so very grateful for each and every contribution and can never say thank you enough! Another point I want to mention is that Aidan is not signing prints at this point. We all need to remember he is still sick and he is still 5. Right now drawing is a fun hobby for him and the last thing we want to do is take that away and turn it into a “job.” I apologize for any inconvenience this may be to anyone. Again thank you SO much for all of your support! So, I, Aunt Mandi, FINALLY made it back to Kansas to physically see Aidan for the very first time since he was diagnosed. Heading there I prepared myself to be upset at the sight of my sick nephew, trying to think of how I would control my emotions and not look like the big baby everyone knows I am. Finally, I show up at Aidan’s house and for the first 10 min I dont even see the little guy because the moment I pulled up he darted to his bedroom. And guess who showed up?? A monster with a chainsaw of course! Once I was there I realized that Aidan is so silly there is no way I could spend any time being sad. 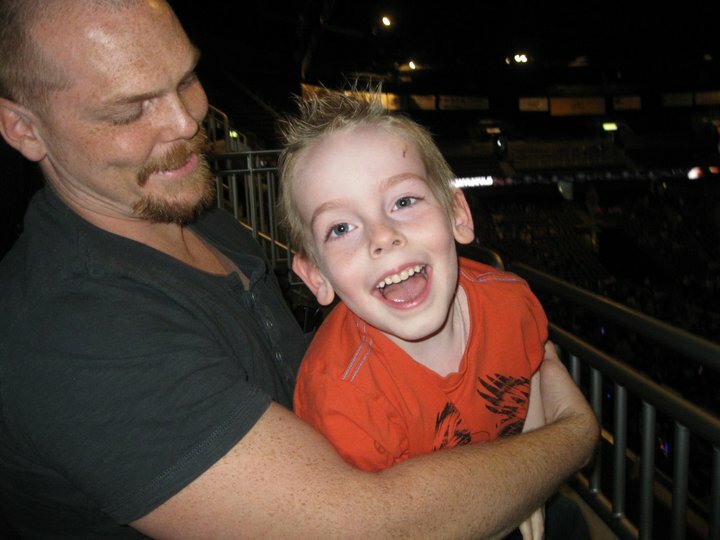 I was too busy fighting off the monsters and listening to little boy giggles. 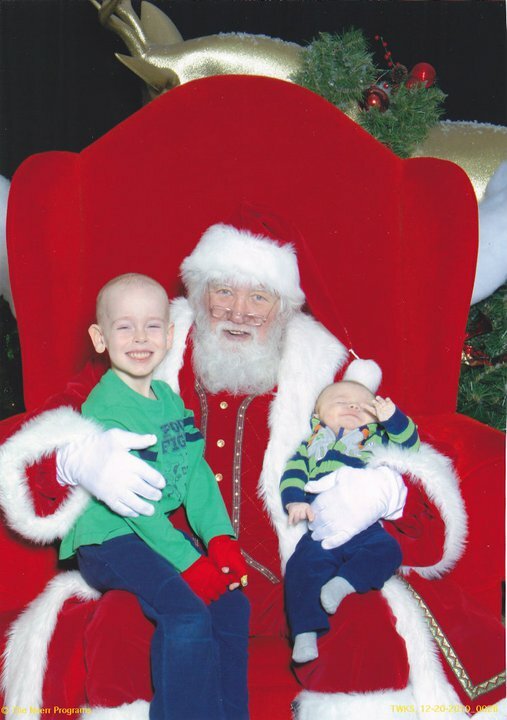 No one would have ever guessed that this was just a few days after having his second Hickman surgery. Some wonderful folks over at ComicBookDivas.com have created this image of Aidan as his favorite monster and have it for sale here. An 11×7 is $10 and an 8×10 is $4 with all proceeds going to Aidan and family.